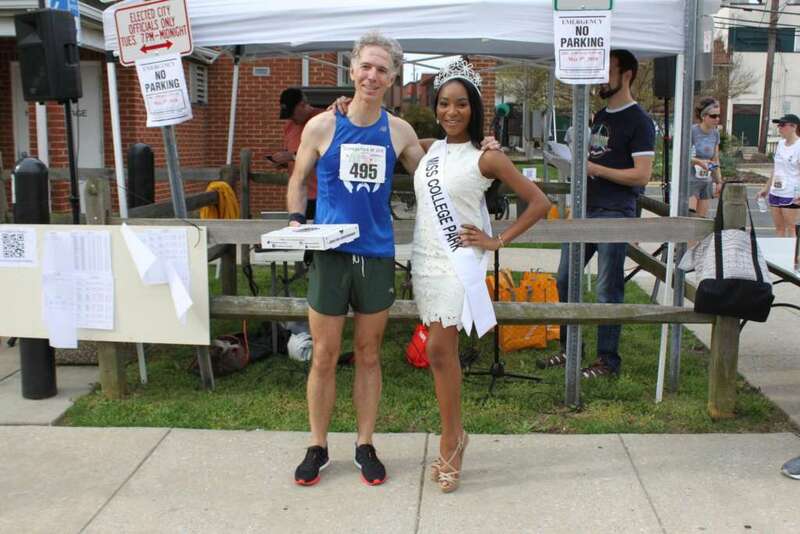 Volunteer roles in the running world: I coordinate the running team at my company, CQ Roll Call, and our involvement in team races, such as the National Press Club 5k and the ACLI Capital Challenge. Why you run: To be fit, to compete, to stay trim, to maintain friendships, and to set a good example for my kids. This past year, after my nine-year-old daughter participated in “Girls on the Run” through school, the whole family, including my wife and six-year-old son competed in the DC Road Runners Bunion Derby series of races. It was extremely gratifying to do so as a family. I ran with the kids and Madelyn finished 1st in her age group, while the rest of us took second in our respective age groups. We were thrilled! It turns out that young kids can run distances! When did you get started running: I ran as part of my crew team training in high school and college, but only as cross-training. I only realized then that I had any propensity for endurance sports. In grade school, the focus was always on sprinting and I’m still not a very good sprinter. Have you taken a break from running: Yes, for most of my post-college 20s and 30s. I restarted in 2011, when I was 37, in order to get fit after letting my weight drift up. It took me over a year to get off the treadmill and start running outside. I ran my first 5k in the spring of 2012, my first half marathon that September, and my first marathon, the DC Rock ‘n Roll in March of 2013. The hardest race you’ve ever run: 2016 Marine Corps Marathon. It was my second marathon after a few years in which I focused on shorter races, and I’d allowed my weight to drift back a bit too far. It was a warmish day in the 60s and I suffered through the last 8 miles, finishing in 4:01. Most adventurous decision you’ve made with your running: To shoot for a Boston Marathon qualifier, which seemed ridiculous after my 2016 Marine Corps. But I got fit, trained hard and qualified at West Virginia’s Freedom’s Run in September 2017 with a time of 3:08. I’ve since improved on that time twice and will run my first Boston this April. Running mentors: DC Road Runner Kenny Ames, who first convinced me to run outside and still gets me to wake up early and train hard. He has overseen my transformation from a slightly above average runner to a moderately competitive masters division runner. Thanks Kenny! My favorite place to run in the D.C. area is: Anacostia Riverwalk Trail. It’s beautiful, uninterrupted by traffic and long. My best race was: For short races, it was the 2018 ACLI Capital Challenge, where I finished 4th overall, first place in the journalist division and got to stand on the stage with Des Linden. My time was 17:13 for the three mile course. For long races, the 2018 New York Marathon, where I set my PR of 3:02:37. Your advice for a new runner: Build your miles gradually. It will take six months till you start to love it so don’t give up or lose heart. Song in your head during a run: I’m a running ascetic and gave up headphones a long time ago. I let my mind wander if I’m alone. I enjoy easy runs with friends and talking about running with them. When races get really hard and the finish line is approaching, I’ll count or give myself a pep talk. Why is the D.C. area a great place to be a runner: The people. We have a wonderfully supportive, but also manageably small local running scene. You can get to know people, seeing them over and over at local races. And DC Road Runners makes it possible to run lots of races, inexpensively, with great camaraderie.